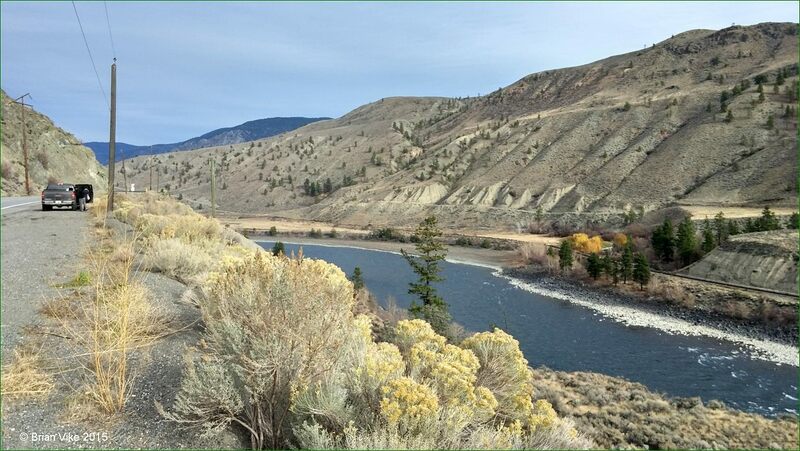 Above Photo: Below is the Thompson River In British Columbia. One thing I have always enjoyed is traveling along Highway 1 (Trans Canada Highway) through this dry climate. It is so different from here in Houston, B.C. where we are surrounded by green coniferous trees. In this drier area what you will see are tumbleweeds, rugged pine and mountains of rock. Also when driving the Highway, keep an eye out for sand hoodoos, as seen in some of my pictures.